Gorgeous South county property with permitted one bedroom Tiny House. Cute as can be, all newer construction built in 2016. Over 13 acres partially fenced with large garden area and 4 big hoop structures in place. Great high producing well and added gravity tank along with 440v of power. The huge 20x40 two story barn also has an added carport space for storing your tractor, boat, or whatever else you may have. Property is conveniently located on the corner of McCourtney Road and Serpentine Farm, but has super privacy factor. Check out the beautiful seasonal stream on the east property line. 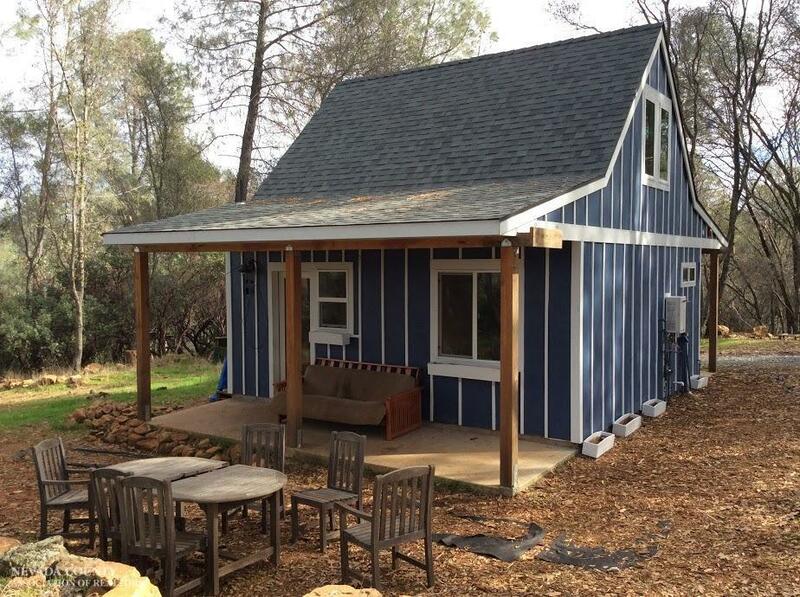 Don't miss this opportunity to own this beautiful piece of Nevada County.